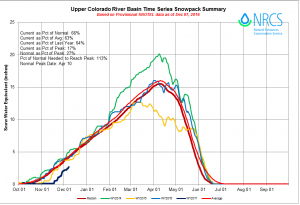 Let’s face it, the snow season for Colorado’s high country started miserably this year. We had little to no snow pack going for us through all of October and a large chunk of November. These are valuables weeks for the mountains to begin collecting snow pack and ski areas to start making snow so that they may open. One would think that such a late start to our snow season would set the snow pack back for the entire year and that it may not be a good year to take a trip to Colorado for skiing, snowmobiling or any assortment of snow-related activities. 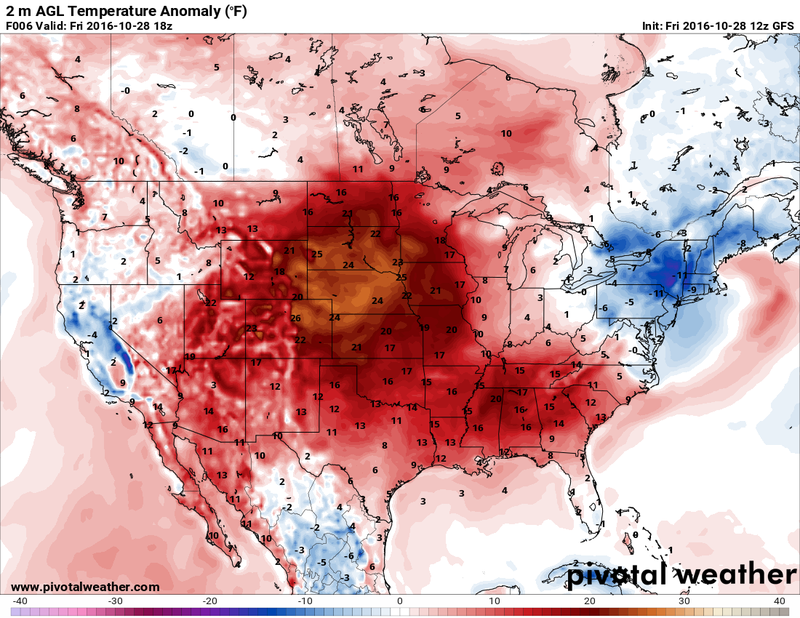 We at Mountain Wave Weather have not been too concerned with that this year, we’ll tell you why! 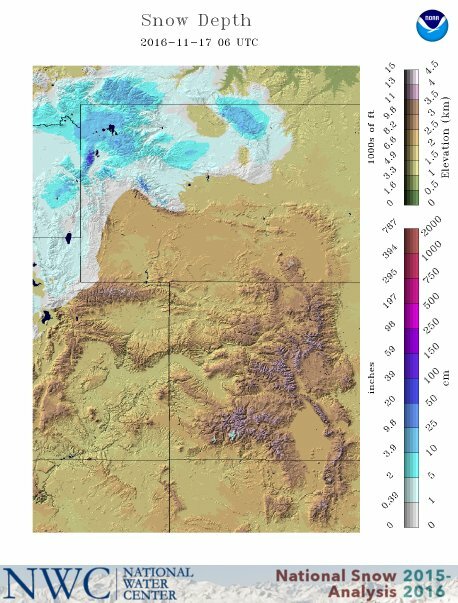 Many folks were concerned when we reached mid/late November and we saw the total snow depth in the mountains in many areas at or near 0 inches. A combination of much warmer than average temperatures and a storm track steering most systems to the North was to blame. Through late October in November we saw temperatures well above normal for almost all of Colorado. 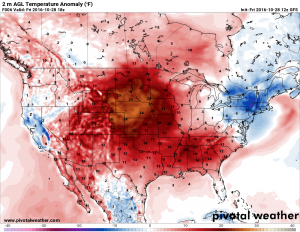 A blob of high pressure anchored itself over the Western U.S and many areas experienced record heat and little to no moisture throughout Colorado. As ski areas had to push back their opening dates as their machine made snow melted, a lot of gloom and doom was spread around Colorado. 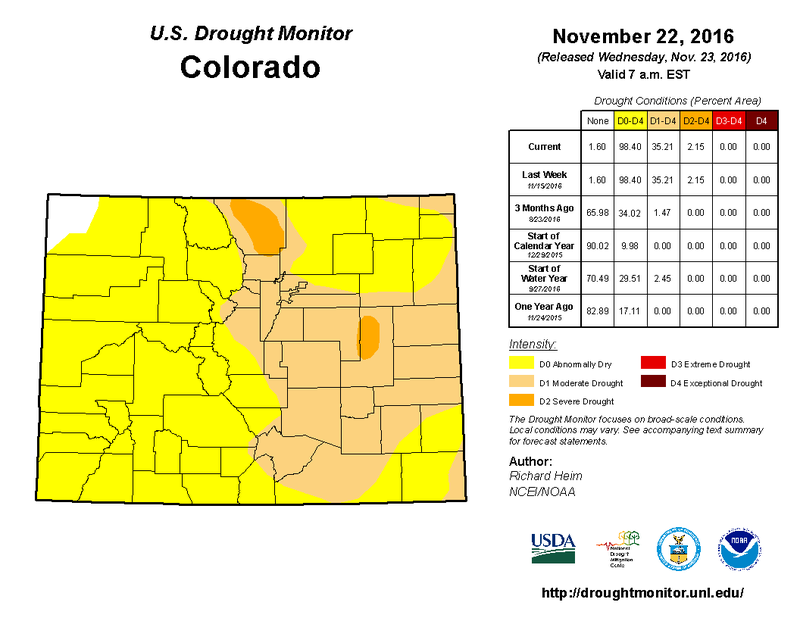 U.S. Drought Monitor showing high country and Eastern plains in states of drought to end November. The local news certainly seemed to think so. I often harp on the local news stations and newspapers as they tend to make things seem worse than they are, mainly because they need the ratings to satisfy their investors and advertisers. I’m especially not a big fan of The Denver Post as they tend to hype things up and make a lot of assumptions about the weather. Often they don’t even consult a meteorologist for their weather stories… ugh! Beware social media sites, newspapers and sometimes local TV stations. They can often be great for short-range weather coverage (think tornadoes, snowstorms, hail, etc…) but when it comes to longer range or when the weather is just nice out and their clicks or views are slow, they tend to embellish things. Our Answer: Not Time To Panic! 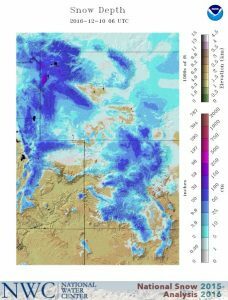 It is absolutely not time to panic about Colorado’s snow season in the high country. As we moved into fall we began to see the ENSO shift into a La Nina pattern, as soon as I saw this a lot of my fears were assuaged. 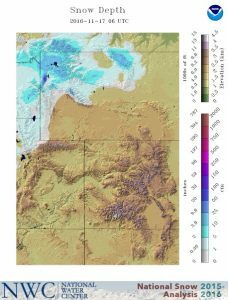 La Nina patterns are often (not always) very generous to snow for the mountain areas, especially the Northern and sometimes central mountains. If you take a look back at the last few La Nina events we’ve had in Colorado, the Northern mountains have finished average to above average to well above average during these patterns. 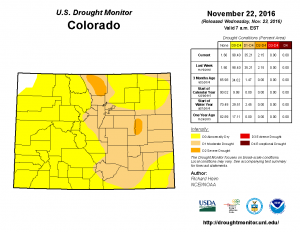 The bad news is that the Eastern Plains usually end up with a much drier winter and Southeastern Colorado can suffer from especially dry conditions. 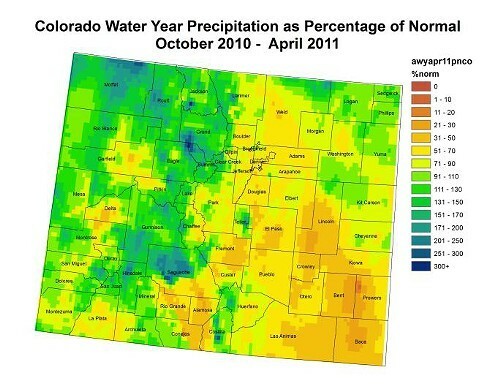 Percentage of normal precip from Oct 10 – April 11. Our last formidable La Nina event was the 2010-2011 season. You can see from the image above, many mountain areas finished well over 100% of normal and some areas even saw 200% of normal. This means lots of snow! 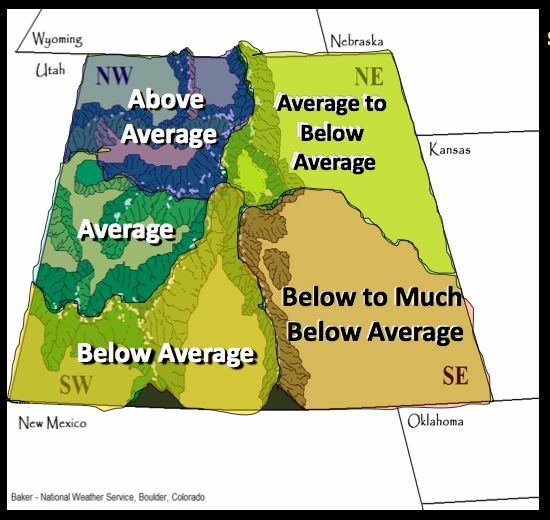 However, the Eastern Plains all finished well below normal, in some cases only 50% of average was found in and around Denver and the Palmer Divide. Some of the Southeastern areas of the state were between 20-50% of average. The rest of the Central and Southern mountains can go either way. Some La Ninas are kind to those areas and some are not. So far they’ve started off decently but my concern is if enough storms can dig far South enough to keep them going the rest of the year. Things Are Already Looking Up! Get Out There and Ski! 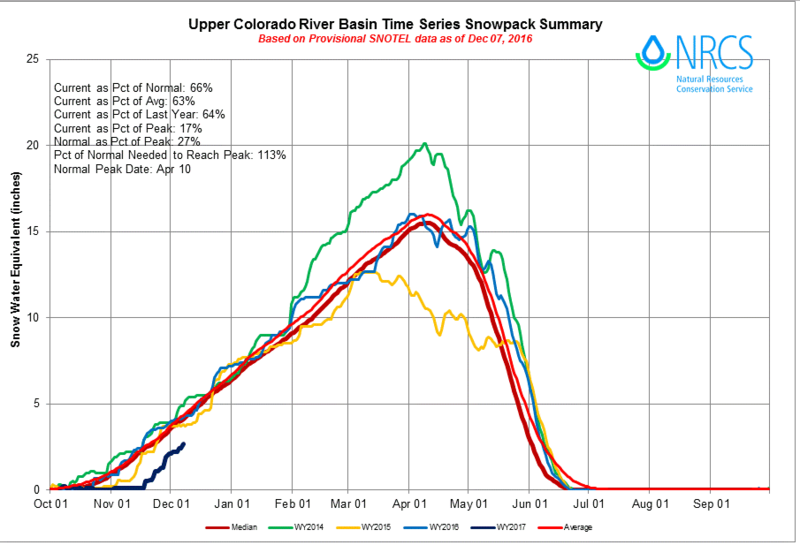 The main thing to remember here is despite all the doom and gloom from the local media, there is a very poor correlation to early season snowfall and how the snowpack turns out at the end of the year. In my own personal experience, I can recall several season where we had extremely warm and dry falls only to be shredding in 100-150% of average snow by February or March.